Available for sale is The Comic Mint Edition of Heathen #1 in CGC 9.8 NM/M condition. 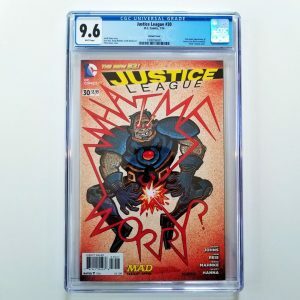 According to the CGC Census, there are only 23 copies of this issue graded 9.8 by CGC! Grab this hot and hard to find slab today while you can! This item is currently out of stock, however you may be able to find one available on eBay. For a limited time only during the holiday season, I’m offering customers of the Certified Comic Shop the opportunity to purchase a mystery box containing 20 comics for just $25 shipped. These mystery boxes make a great gift for the comic lover in your life, or as a way to add a box full of comics to your own collection. From the pages of the comics to the tv screen in your living room, this near mint issue of House of Mystery Annual #1 CGC 9.4 features the first appearance of iZombie. 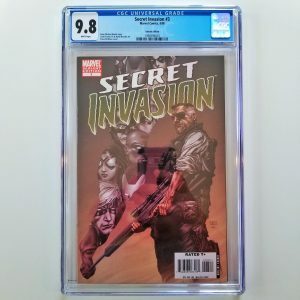 CGC has only graded 47 copies of this comic 9.0 or higher. Available for sale is Malibu Sun #13 graded by CGC in 8.5 VF+ condition. Grab this hard to find and highly collectible slab today while you can, it won’t be here for long! This slab is currently out of stock. Click here to find another one just like it on eBay!